For those of you who might not have seen, the first of our recent Ys-related announcements was the official release date of the PC version of Ys VIII, which also means the release of the re-localization update. The PC version will release and the localization updates for both the PlayStation 4 and PlayStation Vita updates will happen on Tuesday, January 30th, 2018. 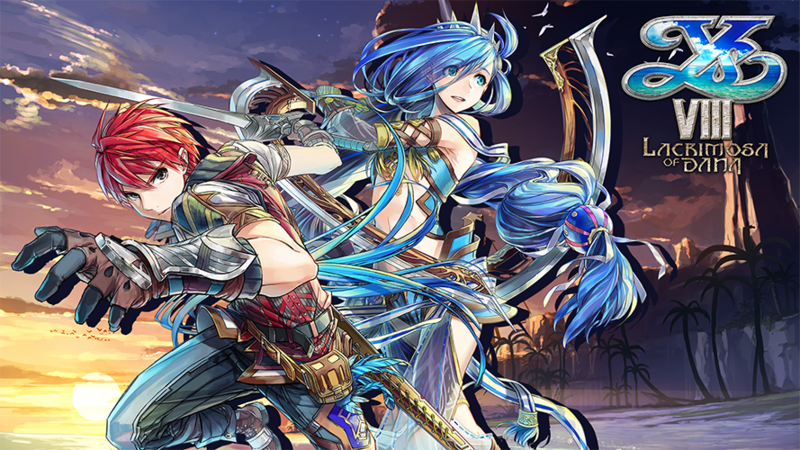 Secondly, Ys VIII: Lacrimosa of DANA will be coming to the Nintendo Switch this Summer. This version will natively contain the re-localization updates and will not offer the original English text or audio in any form. Also, since this doesn’t seem to have been mentioned elsewhere, the content of this version will be the same as the PS4 version of the game. In regards to the re-localization, we are currently still in debug for another two weeks and are at work squashing bugs. So far, I’m happy to report that there are no major issues, with the majority of the bugs being correcting minor typos and sound tweaks. As we are hard at work in debug, I didn’t have the time to grab a new video or screens to show you, but please look forward to the Update at the end of this month!